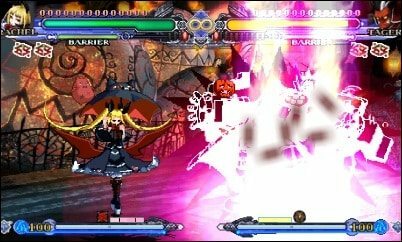 Zen United and PQube have announced that they are to release BlazBlue: Continuum Shift 2, the latest in Arc System Works’ award-winning 2D fighting series, across Europe for both Nintendo 3DS and PSP this year. A sequel to BlazBlue: Continuum Shift, released last year and which received critical acclaim for its innovative fighting system and stunning HD artwork, BlazBlue Continuum Shift 2 will continue this tradition on both Nintendo 3DS and PSP, delivering all the content of its console counterparts, whilst adding a host of exclusive new features. BlazBlue: Continuum Shift 2 on Nintendo 3DS will utilise the handheld’s 3D technology and is to combine the series’ celebrated character design and detailed 3D backdrops for a unique visual experience. It will also include all the DLC characters from its predecessor, making it the most comprehensive BlazBlue package yet. BlazBlue Continuum Shift 2 will be available on 3DS and PSP later this year.